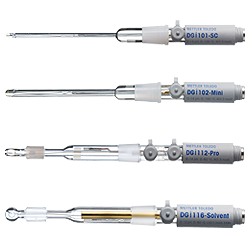 Reliable and durable titrator sensors from METTLER TOLEDO with their variety of designs and perfectly matched reference systems, glass membranes and diaphragms, are suitable for a diversity of applications. Connect the Plug & Play sensor to the Excellence titrator and it is automatically recognized and ready for use. 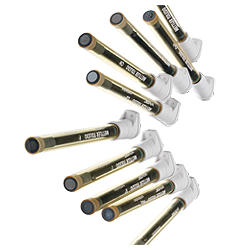 Sensor type, serial number, calibration data and validity period as well as working life stored in the Sensor Chip are automatically read-in. You are always sure that you are using the correct electrode in proper condition. 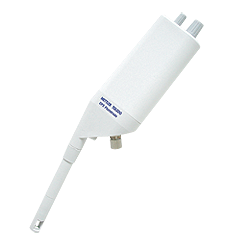 At the heart of every good automated titration are titrator sensors. It is crucial to understand how your sensor is properly used, maintained and evaluated for accurate and repeatable titrations. In order to cope with the enormous breadth of analyses from raw materials to specialized chemicals, there is not only a need for versatile glass and metal sensors but also for specialized sensors in order to reliably titrate in a vast diversity of sample matrices. METTLER TOLEDO can supply the right solutions for these demands. 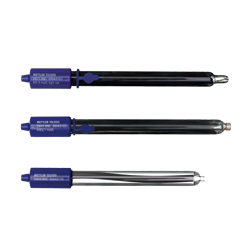 The METTLER TOLEDO titrator sensors for non-aqueous titrations are optimized for rapid response times and signal stabilization as well as for ruggedness and durability. Titrations on the purity of pharmaceutical constituents and active ingredients are fundamental to ensuring their effectiveness. 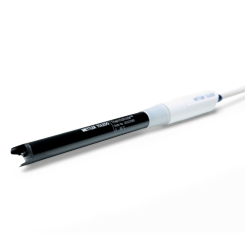 METTLER TOLEDO titrator sensors make the required application flexibility possible and offer reliability due to their intelligent design. METTLER TOLEDO titraor sensors guarantee food quality because the specific ingredients can be quickly and accurately titrated according to regulations. The enormous variety of water types requires analysis of different ions and parameters over a wide range of concentrations under constantly maintained conditions in accordance with strict regulations. That places exacting demands on the sensor systems but presents no problems for METTLER TOLEDO titration sensors. Wide range of combined glass pH electrodes for aqueous, non-aqueous or low ionic strengths media and for small or difficult samples. Photometric sensor. Many titration tasks, such as the automated determination of metal ions with EDTA, photometric indication using a color indicator is the best solution. Surfactant sensor. 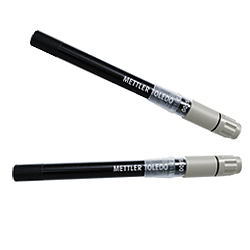 METTLER TOLEDO offers sensors for several methods for surfactant titration allowing the appropriate choice to be made for the sample in question. 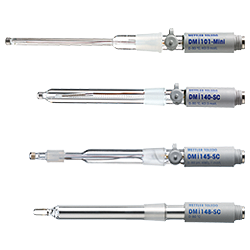 Temperature probe, glass reference electrode, plastic reference electrode for hydrofluoric acid containing samples. With the increased capability of modern titrators it is possible to automate the measurement of ion content in a matter of minutes using an ion-selective electrode (ISE). Thermometric sensor Thermotrode™ accurately determines the Acid Number of a wide range of petrochemical products with a fast and straightforward method. 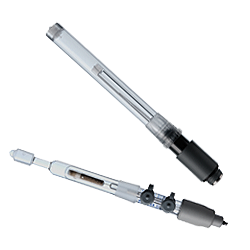 The titration glass EasyPlus™ Sensors for routine acid / base application in aqueous media, or nonaqueous solutions are specially developed for use with the EasyPlus™ Titrators.